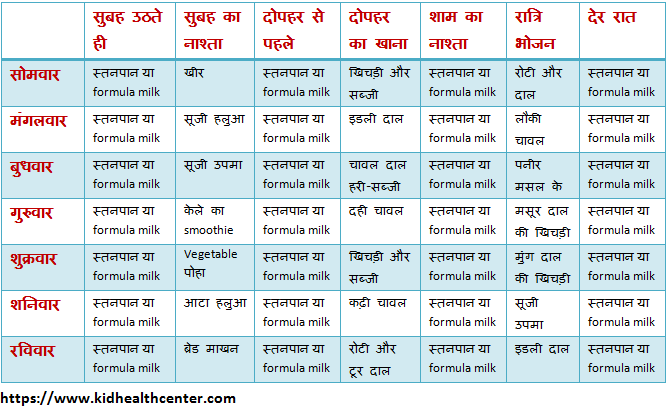 8 माह के बच्चे का baby food chart और Indian Baby Food Recipe - In Hindi | Kidhealthcenter! My 8 months baby boy does not sit himself what should I do? Meri baby 8 month ki hai or vo gay ka milk pine k bad about koi bhi milk products nhi pacha pa rhi hai in fact mother milk bhi nhi..what should I do?